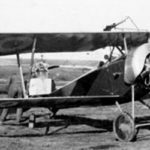 The second airplane to be presented in this series of WW1 Wings of Glory Airplane Packs preview articles is the French fighter-scout Morane-Saulnier N, which was a contemporary of the Fokker E.III, featured in the first article. The single-seat monoplane Morane-Saulnier N was the first French aircraft to be developed specifically as a fighter. It had an advanced and aerodynamic design, but was not easy to fly due to its stiff controls and high landing speed. Introduced in 1915, the Morane-Saulnier N was designated as the MS.5C.1 by the Aéronautique Militaire, while in four squadrons of the Royal Flying Corps equipped with this fighter it was called “Bullet” due the shape of its nose. It was also adopted in limited numbers by the Imperial Russian Air Force, that used it in the famed 19th Squadron led by Aleksandr Kazakov. The Type N was armed with a single unsynchronized forward-firing machine gun, using metal deflector plates pioneered by the pilot Roland Garros on the two-seat Morane-Saulnier Type L in order to fire through the propeller arc. By that time, many individuals were working in the development of a platform for using a forward-firing machine gun on combat aircraft. 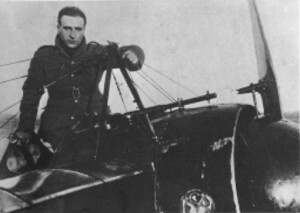 Roland Garros was the first to have a workable installation of it, fitted in his Morane-Saulnier Type L. He achieved the first ever shooting-down of an aircraft with this system on April 1st, 1915; two more victories over German aircrafts were scored that month, until Garros’ aircraft was downed by ground fire on German side of the lines. The Morane-Saulnier N was equipped with the same engine as Type L, but was much smaller. The single-seat monoplane was only 5.83 meters lengthy and 2.25 meters high, with 8.15 meters of wingspan. In the book “Farewell to Wings” (London, Temple Press Books, 1964), the British pilot Cecil Lewis described it as "a very small airplane, so small that nobody above five feet six inches could get into it...". Despite being faster (maximum speed of 144 km/h at ground level) and more maneuverable than previous aircraft, the Bullet was extremely difficult to fly, using wing warping instead of ailerons. Only 49 aircraft were built and it was quickly rendered obsolete by the fast pace of aircraft development. The first Type N was seen on the western front in April 1915, following the capture of Roland Garros, and was called “Le Vangeur” (The Avenger). 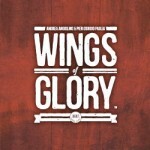 It was piloted by the Sergent Eugene Gilbert, from Escadrille MS-23, featured in one of the Wings of Glory Airplane Packs. 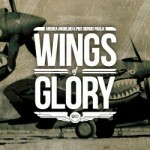 It was also used with great results by other famous French aces, as Adolphe Pégoud, from Escadrille MS-49, and Jean Navarre, from MS-12 - also featured in Wings of Glory. The third Airplane Pack features the Morane-Saulnier N flown by the pilot Jean Chaput of Escadrille N31. The ace Eugène Gilbert was born on July 19th 1889 at Riom, and before the war was a racing pilot, flying to many countries throughout Europe. Interested in flight since he was a teenager, he built his own version of a flying machine around 1909, which was not very successful. In 1910 he got his civilian and military brevets and one year later he was flying the famous Bleriot XI, a single wing aircraft. In 1911, he took part in the Paris-to-Madrid flying race, and during the flight across the Pyrenees mountains he was attacked by an angry mother eagle defending her nest. To ward off the large bird he fired pistol shots in order to scare - but not to kill – the eagle. By 1912, Gilbert started to set records in flying city-to-city. He made one of the first round-trip flights, between Clermont-Ferrand and Brioude, and then Paris to Lyon without landing (410 km), Paris to Vitoria without landing (810 km), Paris to Putnex in Pomerania (1200 km). In 1914, he won the Michelin Cup with a flight of 3000 km in 39 hours and 35 minutes. He debuted as a combat pilot in World War 1 in 1914, serving the Escadrille MS-23 and was one of the first pilots to become an ace, after shooting down five enemy planes. He achieved his first victory on November 2nd, over the German lines, and the second one came on December 17th. On 10th January 1915, together with Lt. Puerchredon, he downed an Aviatik C wounding the pilot, Keller, and killing Lt von Falkenstein. His last two victories were attained in June 1915, when he was assigned to Escadrille MS-49. By the end of that month, returning from a bombing mission, Gilbert had engine problems with his Morane-Saulnier. Forced to land near Rhinefelden, Switzerland, he was captured by the Germans. In May 1916, he escaped but was forced by the French authorities to return to captivity as he had given his word as a French soldier that he would not attempt escape. Finally, on 3rd June 1916, he made his second and last escape. After that, he became a test pilot and in this role he died in a flying accident, while testing the Morane-Saulnier Type AI, on 17 May 1918, at Villacoublay. Gilbert was a Chevalier de la Legion d'Honneur, awarded the Military Medal, and the Croix de Guerre avec Palmes. 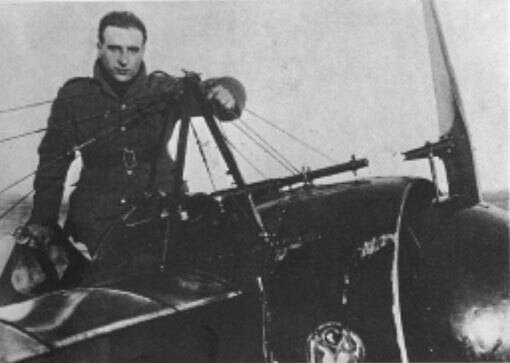 The adjutant Jean Navarre piloted a Morane-Saulnier N in the Escadrille MS12. Born in Jouy-sur-Morin on August 8th, 1895, he was the first French pilot to be officially declared an ace. Navarre earned his Civil Pilot Brevet in August 1911 and when the World War began this earned him immediate entry into French military aviation. Originally assigned to the Escadrille MF8, but soon he joined the MS12. His first victory came flying the two-seater Morane-Saulnier L on April 1st, 1915, in the Fismes sector, when he brought down an Aviatik with three well placed shots, together with the observer Lt. Robert. Navarre scored two more victories during his period at the MS12, in April and October 1915, and afterwards he was assigned to the N67squadron. On August, 2nd 1915, he was made a Chevalier de la Legion d'Honneur, with the citation based as much on secret special missions as on his aerial victories. The Franco-German struggle at Verdun from February 1916 brought Navarre to the sector, where he gained a well-deserved reputation as the 'sentinel of Verdun' - generally flying his red painted Nieuport solo for lengthy hours at a spell, tracking enemy aircraft from below and behind, machine gun at the ready. 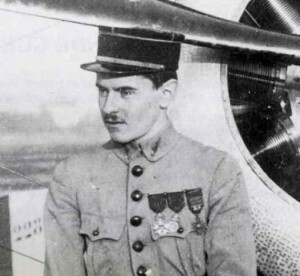 On February 26, 1916, he became the first French pilot to shoot down two enemy aircraft in a single day. Navarre achieved other 7 confirmed victories while serving this squadron, from March to June 1916. But in the day of his last win, June 17th, he was shot down over the Argonne and suffered a head wound from which he never fully recovered. After a two-year stay in an asylum in Paris, he returned to the front but never flew another combat mission. After the end of the war, a victory parade was planned on the Champs Élysées on 14 July 1919. However, the high command ordered airmen to participate on foot rather than flying their aircraft, and it was took as an insult by the heroes of the air, who decided to respond to this affront by selecting one of their number to fly through the Arc de Triomphe. As the first among the aces, Navarre was considered the ideal choice despite his injuries, but while practicing for this stunt he crashed his plane and died at the Villacoublay aerodrome on 10 July, at the age of 23 years. Sergent Jean Chaput, credited with 16 victories. The third Morane-Saulnier N released as a Wings of Glory airplane pack presents an aircraft flied by Sergent Jean Chaput at Escadrille N31 in March/April 1916 – this model is often wrongly cited as belonging to the Escadrille 159, but in fact this squadron did not exist yet at that time! A flying ace credited with 16 aerial victories, Chaput was born on September 17, 1893, in Paris. He started his career in the infantry, in 1913, and was transferred to the French Air Service in 1914. In February 1915, he got his brevet and was assigned to the MF28, quickly rising in rank. On 12 June 1915, at the Escadrille C28, he scored his first victory while flying a Caudron, and he forced a Fokker Eindecker to land. He was awarded the Medaille Militaire for this action. On June, 15th Chaput was wounded in combat, and on July 10th, he suffered the first of two serious wounds that would cause lengthy interruptions in his flying career. He returned to duty only in January 1916. In March and April 1916, he achieved two more victories while serving – according to some sources - in the “unit d’Angers”. There was no French squadron so called, and other sources mention Chaput at the Escadrille N31 at the same time. 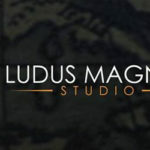 Most likely, the source of this conflicting information is that the N31’s commander was Lieutenant Alfred Auger. As the N in the name indicates, this squadron flied Nieuport aircrafts, but it was also equipped with some Morane-Saulniers– until September 1915 it was in fact called MS31. In May 1916, Chaput was transferred to the Escadrille N57, and between 22 May and 23 July he downed an observation balloon and four German airplanes. On June 4th, 1916, he was honored as Chevalier de la Légion d’Honneur. On 24 August, he was again severely wounded; this time, he would not return to duty until early 1917. He scored a double victory on April 5th, and two more wins in May and June that year; the latter was shared with Joseph M. X. de Sévin. After another lapse in his winning ways, on March 23, 1918, Chaput scored twice once again. In April, he assumed command of Spa57 but was killed in action the following month, when his SPAD S.XIII was shot down by Hermann Becker of Jasta 12, near Montdidier. Information sources: The Aerodrome, WWI Aviation, William Whitson, Early Aviators, First World War, Les Escadrilles de l’Aeronautiche Militaire Française de 1910 à 1918, Wikipedia.